With the recent hype surrounding the high-protein diets, which are being hailed as the new wondrous weight reducing method, one might begin having an impression that carbs are good only for producing fat. In fact, many people believe that this is true, that eating carbs can seriously undermine their waist line. Well, although the newly emerged craze with high-protein diet is something that should receive a thumb up, the accompanying tarnishing and blemishing of carbs as the culprits of our increased weight is nothing but ignorant talk. In fact it can be very detrimental when creating a suitable diet for people who train hard. Here, we’ll go beyond the hype, and second-guessing, and try to provide you with scientifically backed up analysis of how can carbs be used for building your muscle mass. Try our seven tips that restore the unfairly lost credit to carbs, and urge you to put this nutrient back on your dietary list. If you want to build muscle mass your diet should be rich in both in protein and carbs. Lack of carbs in your system during the muscle building process causes degradation of protein. Since the carbs are not present to provide the necessary fuel for your body, it breaks down the protein using it for energy and not for building muscle. In order to rip the anabolic benefits of protein, people trying to build mass should consume at least 2.5 grams of carbs per pound of bodyweight. At the same time, the recommended daily is allowance of protein for mass builders is 1 to 2 grams per pound. After the workout you need to restore your glycogen levels. This is best achieved by providing your body with substantial amount of carbs. We recommend upgrading this technique a little bit by adding sodium to the cocktail. Sodium draws greater amount of water in your muscles, while the carbs are restoring your energy. This will greatly speed up your recovery and boost muscle growth. Next time you take your post-workout meal, make sure that it contains the right carbs, and add a quarter teaspoon of salt. According to the conventional wisdom it is most beneficial to consume meals high in carbs and some protein within the 90 minutes window following the training session. Consuming carbs during this period is known to stimulate the insulin production, which helps in stopping the breakdown of protein and improves the supply of carbs to your muscles. However, you might not know that muscles could benefit from the increased carbs intake for up to six hours after training. So try utilizing this by expanding your 90 minute window to a 6 hours anabolic double door. We recommend consuming a high carb meal within the 90 minutes period after training. Consume the second meal within the next four hours. The insulin stimulating process can especially benefit from consuming juice, white rice, honey, jam, bagels or some other refined sugar. Many people are still convinced that dieting and potatoes should never mix. This conviction is founded on the belief that the starch in potatoes can be easily transformed into sugar, resulting in unwanted blood-sugar spikes. This in turn triggers cravings and uncontrollable hunger, that can greatly damage your dieting efforts. Yet, we should point out that not all potatoes have the same nutritional properties. 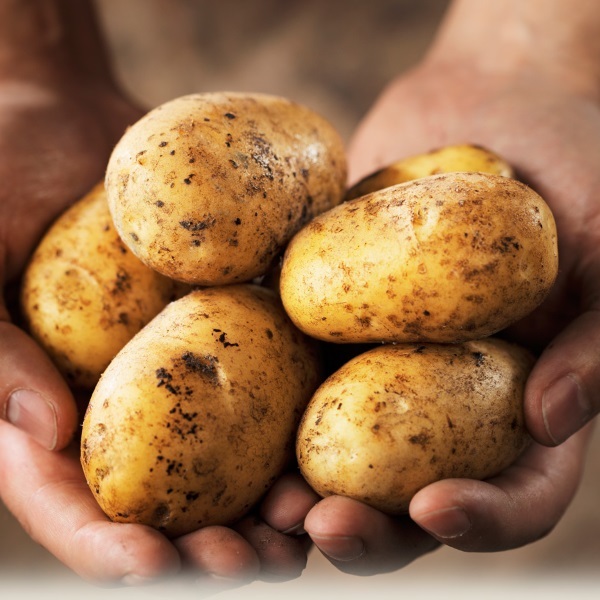 While some of them, like russet potatoes, are converted into sugar more quickly and should be avoided by the bodybuilders, others (red potatoes) take much longer to break down providing you with a prolonged feeling of satiety. The first and primary reason for consuming carbs is to simulate insulin production in order to trigger muscle growth. At the same time you want to avoid creating blood-sugar spikes. The solution is mixing the fast digesting carbs that boost your insulin levels instantly, with “slow” carbs that offer prolonged insulin response. You can get the former from food sources like raisins or juice, and should be consumed immediately after the workout. The slow burning carbs like oats and yams are best consumed within 6 hours after workout. Depleting the carbs from your body and loading them back up can help your muscles look bigger and fuller. First, do a three day fast and try not to eat (or eat very small amount) carbs, breaking the fast during the next two days. During the carb loading days, you should consume roughly 2 times more carbs than on a normal day. So if you normally eat, say 500 grams of carbs on a normal day, after the 3 day carbohydrate fast you would load with 900-1000 grams of carbs per day. When you are on a mass building diet, you should aim at consuming 20% of your total healthy fats. The consumption of these fats found in sources like flaxseed oil, olive oil and fish to name some, improves the ability of your body for storing carbs, thus increasing the glycogen reserves (healthy fats improve insulin sensitivity). The increased glycogen reserves will improve your performances during workout, speed up your recovery and boost your muscle growth. This is a result of utilizing the energy from the fats instead of the carbs.